Artificial Cell Technologies (ACT) is redefining the manufacturing of globally available vaccines. This New Haven based firm is actively developing the first patented technology for rapid, synthetic vaccine production. Their unique approach allows ACT to produce multi-valent vaccines exponentially faster, and capable of personalization. This also allows the vaccines to be produced on-demand. Artificial Cell Technologies, Inc. (ACT) is a development-stage biotechnology company developing unique synthetic vaccines utilizing a proprietary and patent-protected technology platform of ultra-thin multilayer polypeptide nanofilms. The company’s headquarters and laboratory facilities are located in New Haven, CT. Vaccines against infectious diseases for the developing world are currently manufactured in large, capital intensive factories located in first world countries, transported by air under refrigeration to depots closer to the target populations, stored under refrigeration or frozen, and then distributed in country with an unreliable cold chain to clinics which, themselves, may be located far from the target populations who have to travel long distances to have their children vaccinated by a small number of trained health workers. What if the vaccines could be manufactured as needed, nearer to the patient population, in temperature stable form, at lower cost and administered in a way that did not require medically trained staff? ACT’s product pipeline includes synthetic vaccines utilizing our proprietary LbL technology for Respiratory Syncytial Virus (RSV) and malaria. Both vaccine candidates are in pre-clinical development and ACT is currently preparing for phase 1 human clinical trial of its malaria vaccine in Q4 of 2017. This first fully synthetic vaccine was created as a more efficient alternative to traditional vaccines, successfully initiating the body’s immune response with no adjuvant. It also has been shown to be well tolerated in non-human primate and rodent testing, producing no side effects, or local reactions. ACT’s first two vaccines will take on two of the world’s most serious and urgent illnesses, malaria and RSV. 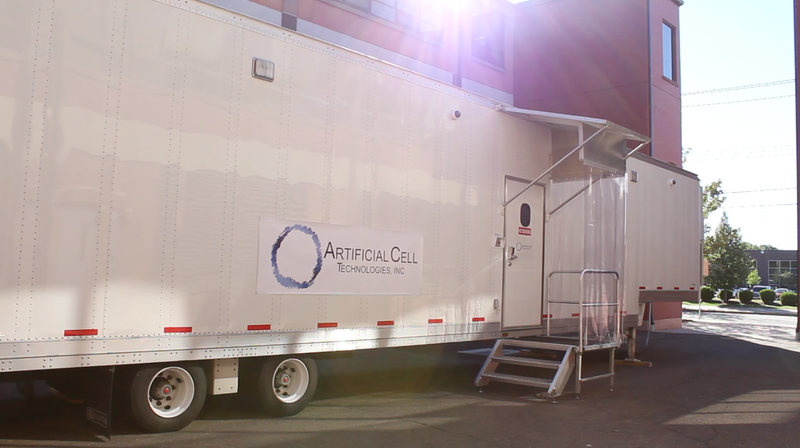 Since the LBL process involves completely synthetic production and can be performed in a small mobile lab that fits in a sterile tractor trailer, it allows RSV and malaria vaccines to reach more people, in less time, for a fraction of the cost of traditional vaccines.